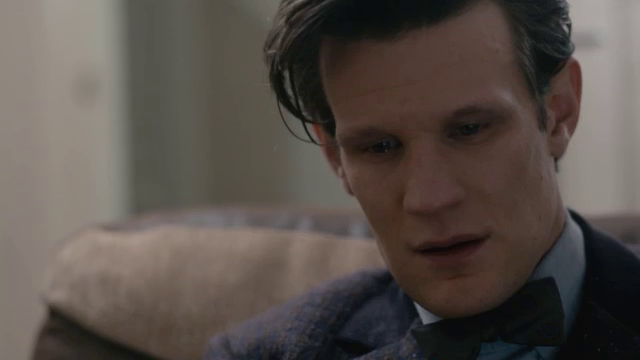 Steven Moffat pens the 7th series finale, and I’m a little divided on it. A lot of it almost seemed overly sentimental, as if it were trying to pull at heartstrings, and that kind of bothers me. It’s all well and good if you earn it, but I’m sadly of the mind that they didn’t earn it this series, well at least the second half of it. 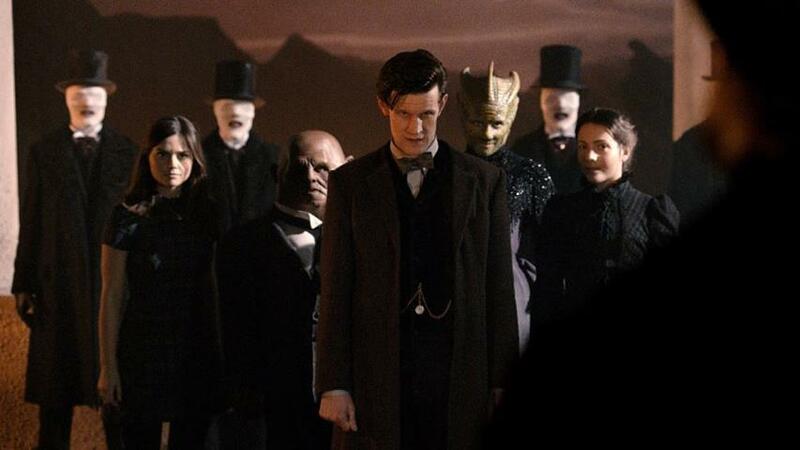 The friends of The Doctor (Matt Smith), are being seized by the troubling looking Whispering Men, who are working at the behest of The Great Intelligence (Richard E. Grant). I’m also of the mind that there wasn’t enough motivation for G.I., I just didn’t buy into him being the Big Bad, Grant can be villainous enough easily, but, it just felt empty and hollow like G.I. itself. 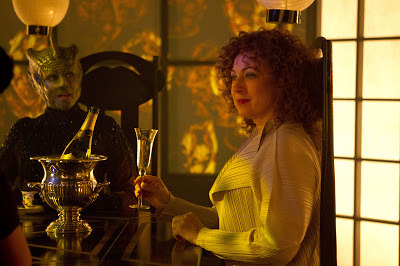 River Song (Alex Kingston), Strax (Dan Starkey), Vastra (Neve McIntosh), Jenny (Catrin Stewart) and Clara (Jenna-Louise Coleman) are holding a psychic conference call after Vastra encounters someone, a murderer, who has a message for the Doctor, about his grave and that he must go to Trenzalore. Clara shares this info, while our Victorian trio are captured by the Whispering Men. This troubles The Doctor greatly, because he will be crossing his own timeline if he goes to his own grave. But he is, of course, willing to risk it all to save his friends. Arriving there, he is almost forced to reveal his name to save his friends’ lives, but the late River Song, who is still psychically connected to Clara opens his tomb by saying it (which happily no one else can hear). And so they slip inside the Tomb of The Doctor (which I honestly think would have been a better title). It is here we see what is left of The Doctor, an open wound in time that is his life, his multiple travels through time and space, a blazing white light of energy. And G.I. plans to step into it, the energy tearing him apart and spreading him like confetti through the timelines stopping the Doctor,removing his efforts, his triumphs, from the timelines. We see G.I. moving through the timelines, bumping into all the other Doctors through his regenerations, and they are all dying because of this action. The universe begins to change around them… friends become enemies, people disappear, and countless worlds are lost as stars go out all over the night sky. She sacrifices herself by stepping into the timelines, like G.I. did, and sets things to rights, in all of her lives, in all of her encounters with the various incarnations with The Doctor (a fun sequence). Then The Doctor goes in after her to save her. 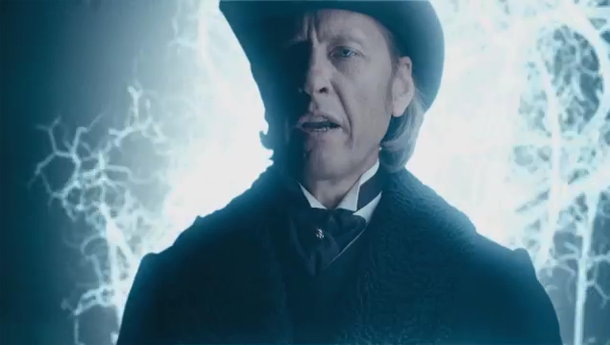 There are some nice moments, seeing Catrin as Jenny is always a delight; the Whispering Men are suitably creepy, and the one coming through River is almost a jump worthy moment; River and The Doctor having some tender moments, revelation that there are spoilers connecting Clara and River; Clara telling Hartnell’s Doctor which TARDIS to take, and then the revelation of part of The Doctor’s inner psyche – introducing, in the final moments of the show, John Hurt as The Doctor. But overall, I found myself wanting more. It just didn’t feel as epic as it could have been. Because I wasn’t as invested in the characters in the second half of the series as I was the first, I just didn’t get into it. I hope the next series comes into a little more focus with tighter storytelling – I’m all for a series arc, but let’s make it really involving, get us emotionally involved and then drag us along for the ride. 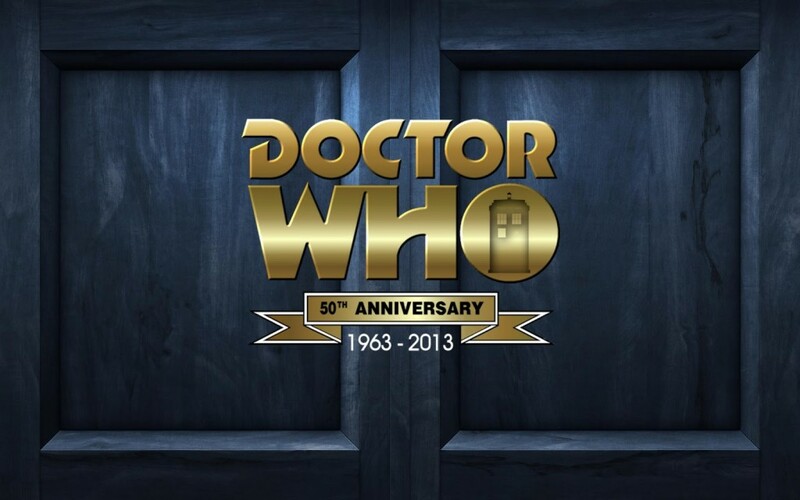 Now we have to wait until November to see what the 50th Anniversary special brings us.